Here at Ocean Plumbing and Heating, we understand that a gas or plumbing problem can really put a dampener on your day, which is why we make our service as timely as possible. 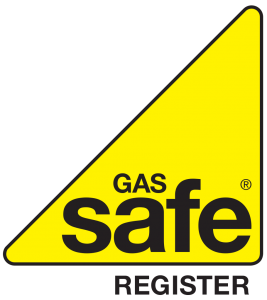 Our team is City and Guilds qualified and Gas Safe registered, allowing us to fix virtually any gas or plumbing problem in a safe manner. We are a reliable, family run business based in Hitchin, with over 30 years’ experience in this field. Over our many years of operation, we have built up a great reputation through hard work and our determination to provide our clients with an outstanding service. No matter how big or small your job may be, we will go above and beyond to ensure that you are happy with the work we complete. We can help both domestic and commercial clients throughout Hertfordshire and surrounding areas, including Baldock, Royston, Stevenage, Welwyn, Hatfield, Arlesey, Shefford, Luton and Bedford. For a cost-effective, professional and friendly service, look no further than Ocean Plumbing and Heating for all your gas and plumbing needs. Hot and cold water supplies. Hot water cylinders (See more information on our Central Heating page). Gas pipe work (Such as installation or repair). Boiler work (More information regarding this on our Boiler servicing and repairs page). Repairs and Installation of any other gas related appliances. For more information on any of our services, to talk through your options or to receive a free no obligation quote, give us a call today on 07973 702841 or 01462 622275. You can also email us by filling out the form on our Contact Page – We respond to all enquiries as soon as possible.